I recently moved to Outlook from Lotus Notes but wasn’t able to access the Lotus Notes Calendars in Outlook. I tried Kernel for Notes Calendar to Outlook, and I’m really glad to say that the software made Notes Calendars conversion very easy and converted each & every detail of calendar items to Outlook. I won’t hesitate in recommending the software to individuals and organizations heading to MS Outlook from Lotus Notes. I was in a dilemma whether to choose professional software to convert Lotus Notes data to MS outlook or not as I don’t have a technical background. I’m not even familiar with the functionalities of conversion software. But let me tell you that using Kernel for Notes Calendar to Outlook was a piece of cake. Its user-friendly features and interactive interface made it very easy for me. Kernel has done a wonderful job with this software. The Notes Calendar to Outlook Converter has a very intuitive interface which makes using it easy. The user can convert the entire calendar entries in just a few minutes. And using this tool does not require having any technical expertise. This tool offers two files saving options - Outlook PST files & MS Excel files. While saving in PST, you can save your NSF calendar entries into an existing PST file or create a new PST file. The Kernel tool can export single and multiple Notes/Domino Server files in a single attempt. 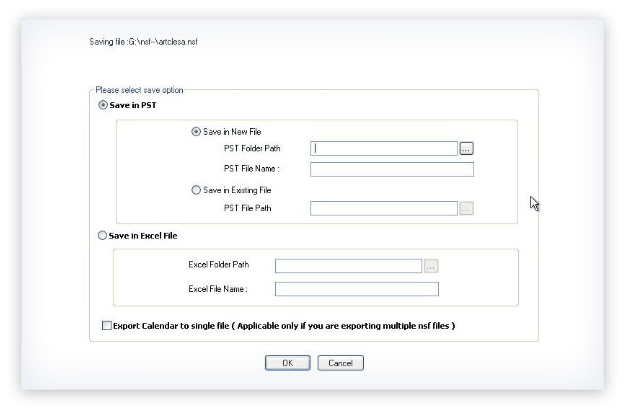 The tool also allows the user to save calendar entries from multiple NSF files in a single PST/Excel file. If you know the IP address, you can add the Domino Server directly to view its NSF files. Otherwise, you can search the network to find all its Domino Servers. After you provide the Domino credentials, all the NSF files will be displayed. This Notes calendar to Outlook tool provides a quick preview of the calendar entries. And it ensures NSF data integrity while exporting to Outlook. Users can verify the integrity of the data while viewing it. SelectLaunch Kernel for Notes Calendar to Outlook on your system and select the NSF files you want to convert. PreviewAfter making the file selection, click on preview. The software will convert the selected NSF files and will generate their preview. SaveIn the final step, after checking preview, save the file in PST or Excel format. How to use Kernel for Notes Calendar to Outlook? 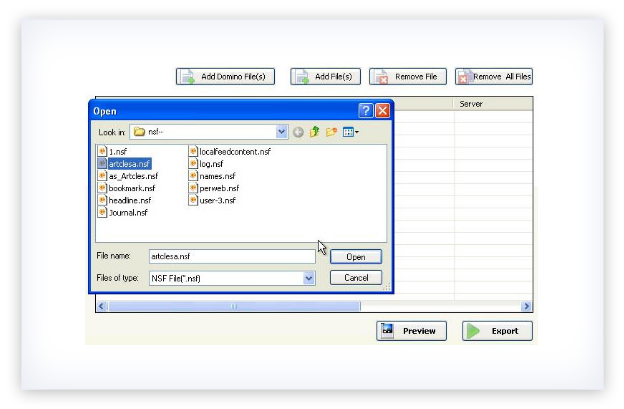 Run the tool in your system and add your NSF files and click on Export. If you want to have the preview of the file, click on the Preview and after having the preview of the file, select the folders to view converted calendars click on the Export button. Note: In the home screen you will see that other file options are also there like Add Domino File(s), Add File(s), Remove File, and Remove All Files. Use these features as per your requirement. In the next step, select the required saving options and click on Ok. The process will take place that can be stopped by clicking on the Stop button on the right corner of the screen. Once the process is complete click on Ok.
Can this software convert multiple Notes Calendars to Outlook at once? Yes, the software is capable of converting multiple Notes Calendar items to Outlook in a single attempt. You can easily choose to convert single, multiple or unlimited number of calendar items. Does this software works with almost all versions of Lotus Notes and Outlook? Yes, the software is compatible with all versions of Lotus Notes and Outlook. Is it necessary to have Outlook installed on my system to run this software? 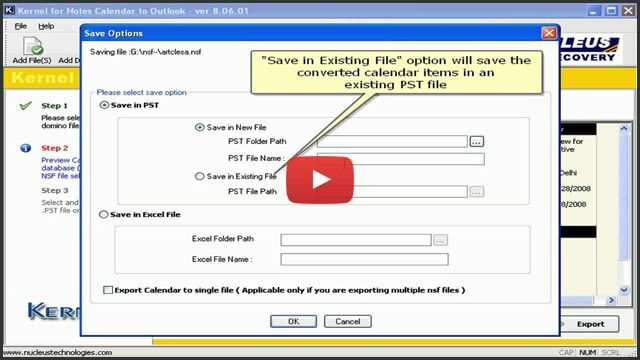 To convert Notes Calendar items (NSF files) to Outlook (PST file), you don’t necessarily need Outlook installed on your system. But if you want to access the converted Notes Calendar items in Outlook, it becomes mandatory to have Outlook. How do I get the complete version of the software? You can download the licensed version of the software once you are done with all the buying formalities. Once you make the payment to purchase the complete version of the software, we’ll send you an email having complete details about the software. If I’m not able to operate the software, whom should I contact? The software has a user friendly interface and doesn’t require any kind of technical assistance to operate. 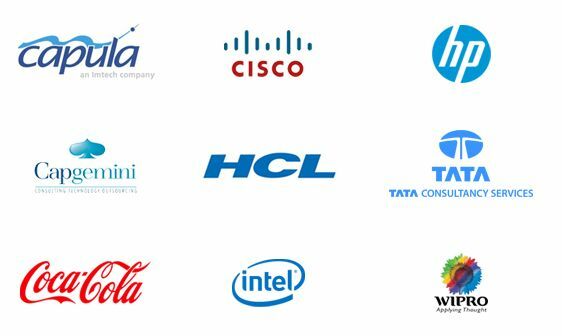 Even if you face any issue, you can certainly contact our 24*7 customer support. Our experts will provide you complete assistance. "Hi. Joshua here. I had purchased this awesome tool last year but was having trouble with the installation. By the time I called on them it was pretty late in the night. They carefully helped me install and make payment. The Company's tech support team is so polite and so patient. I recommend this tool to everybody. Thank you guys for helping me out." "Saved my efforts and time amazing software." Very cool Internet find for me. Saving process in Kernel for Notes Calendar to Outlook.